The Bangladesh Knitwear Manufacturers & Exporters Association (BKMEA) believes that apart from the existing European market, new export destinations for knitwear garments are helping increase the country's export volumes. According to the association, knit readymade garment exports may exceed wovens again this year in the next couple of months. Performance of knit exports shows an increase every year and in five months of the current fiscal the average monthly growth is more than 19%. According to the association, during financial year 2011-12 knit exports share of RMG was 49.69%, whilst wovens amounted to 50.31%. These numbers have changed and in the last fiscal it was 48.69% for knits and 51.31% for wovens. Figures also show that in the fiscal year 2011-12 total knitwear exports were $9.48 billion and in the 20112-2013 it increased to $9.6 billion. “In the first five months of the current fiscal the average growth rate of knitwear export is almost near the woven sector,” said BKMEA Third Vice President Mohiuddin Faruqui. He also said that along with the increased export of knitwear garments in the market, new destinations in Europe are opening and performance is also becoming better than in previous years. He said knitwear is likely to exceed the wovens sector in the next two months. Currently export performance share for knits and wovens in total readymade exports are almost the same. Therefore, as knits are increasing, they may soon exceed wovens exports, Faruqui believes. According to data, wovens exports have been dominating RMG exports from the very beginning and currently US is the main wovens export market for Bangladesh. Under the GSP facilities Bangladesh is exporting knitwear to the European markets at the lowest prices among all the exporting countries. 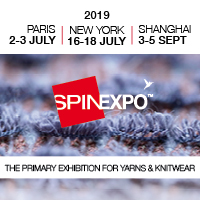 Faruqui said along with increased export performance of knits in the European market, new destinations have already been discovered in the markets of Middle East, South Africa, Brazil and China. Faruqui said that despite problems of transportation, growth is positive. The knitwear sector is currently sourcing cotton yarns both locally and also importing from the neighbouring countries through Benapole port. When the new Pangaon Container Terminal goes into full operation, it is expected to reduce lead time and reduce costs. Currently transportation costs are almost double due to political turmoil and because transport owners charge more. “Due to missing of sea shipments we have to go for air shipment to deliver our goods in time to the buyers,” he added.